MidCity is proud to announce a partnership with Community Preservation and Development Corporation (“CPDC”) for resident engagement services at RIA. CPDC will connect with current Brookland Manor residents around a community survey that will ultimately yield a report outlining a core set of programs and support services designed to supplement resident services already being delivered on site by Community Services Foundation. CPDC has a long-standing history of and reputation for high-quality resident and community engagement. Based on this expertise and the two companies’ shared values related to affordable housing, MidCity engaged CPDC for the RIA project. This agreement represents a growth in CPDC’s network building initiative now being offered to third-party owners. “Over the past three years, CPDC has built a robust network at our Edgewood Commons community; one that is establishing trust among residents and third-party property managers, strengthening resident leadership and co-investment, and contributing to positive outcomes (e.g., increased safety, resident-led activities, resident voice in community),” said Pamela Lyons, Senior Vice President, Community Impact Strategies at CPDC. “These network building activities are an enhancement to our 25+ year history of delivering services that improve the lives of people in Mid-Atlantic region. On September 23, 2016, MidCity submitted its first Stage Two PUD application with the D.C. Zoning Commission. The application provides plans for the first two buildings at RIA: (i) a 131-unit family building and (ii) a 200-unit Section 8 senior building. Both buildings provide ample amenity space which will be used for community programing. MidCity has committed to build replacement affordable housing first and is doing that with the construction of the first two buildings. “We want these new buildings to be supportive of our current residents. Our partnership with CPDC will help engage Brookland Manor residents in the redevelopment process and will help us to determine which services will have the most significant impact. We will design the amenity space accordingly,” says, Michael Meers, Executive Vice President. The stage-two application submitted last week is the first phase of a multi-phase project that will ultimately include up to 1,760 residential units and up to 181,000 square feet of commercial space to include an approximately 55,000 square foot full service grocery store and other neighborhood serving retail. The project will also provide for a 0.9-acre community green and a 0.5-acre pedestrian plaza as well as a new, highly connective street grid that includes the introduction of new streets. 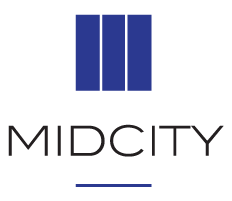 MidCity (www.midcitydev.com) offers a proud tradition of expertise in the development, acquisition, oversight, and management of multifamily rental housing. Unlike many real estate development and investment firms, MidCity focuses on long-term value and enduring relationships, proudly carrying on the tradition of strategic public-private partnerships and quality housing established by our esteemed founder, Eugene F. Ford. Founded 50 years ago, MidCity is a family-owned firm with a 40-year history of committed investment in the Rhode Island Avenue Corridor. Dedicated to RIA’s sustainable evolution, MidCity will remain invested in the community indefinitely. 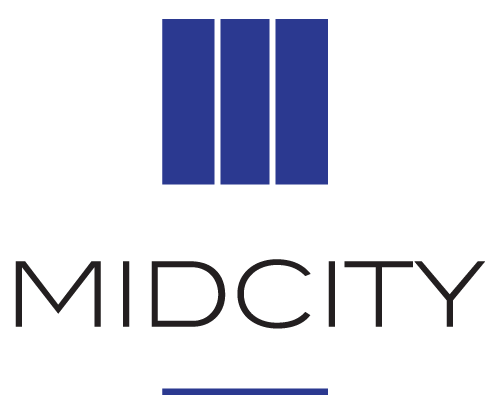 MidCity owns approximately 9,000 apartment units (with the preponderance of them in the Washington, DC MSA) and its affiliated management company, Edgewood Management Corporation, manages approximately 32,000 apartments, making it one of the 50 largest managers of multifamily real estate in the United States. For over 25 years, CPDC (www.cpdc.org) has served D.C., MD and VA as a leading not-for-profit real estate developer through the acquisition and redevelopment of award-winning affordable housing. We specialize in mixed-income and mixed-use developments, historic preservation, adaptive reuse and are recognized for innovative financing, green building design and public-private partnerships. With more than 9,000 residents in over 5,000 apartment homes, CPDC is committed to the long-term success of our portfolio and our residents. We deliver innovative Community Impact Strategies (CIS) designed to help individuals and entire neighborhoods grow and thrive. CPDC is a community developer and proud member of NeighborWorks America, the nation’s leading trainer of community development and affordable housing professionals.